Steven (Chicagoland, United States) on 14 February 2019 in Landscape & Rural and Portfolio. 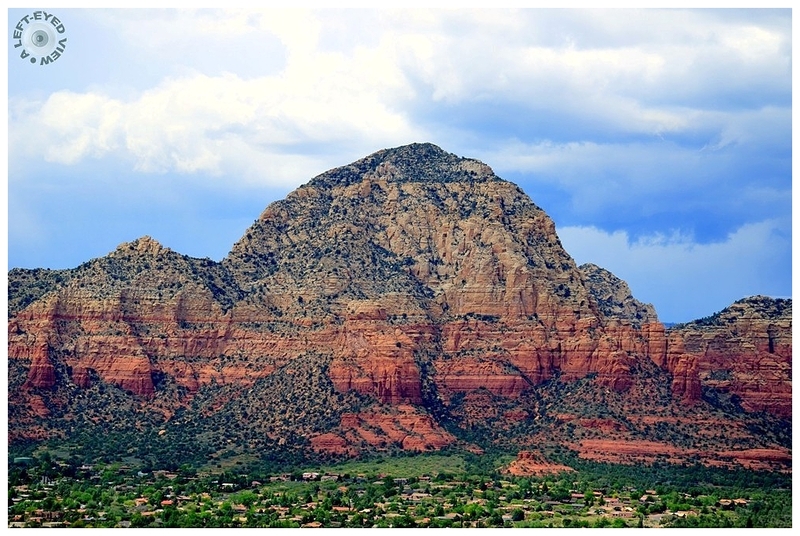 Capitol Butte towering over Sedona, Arizona. Photo captured May 9, 2013. The tiny houses at the feet of this great formations given a good scale for the largeness. A massive and impressive rock ! beautiful layers of colors ! Très beau ces nuances de couleurs. Fabuleux paysage, très belle photo! Preciosa vista, con lindos colores y luz. ***** Buenos días. wonderful layers of colours in the mountain here ! What a massive one !!! The tiny houses look so cute at the foothills ! De très beaux constrates de couleurs. Et l'on se rend bien compte de la taille de ces rochers grâce aux maisons. I love the distinct layers in the rocks. ALso the natural color is amazing. Beautiful composition and colors . Impressiv image ! Beautiful! I haven't been there in quite a while. such beautiful composition, colors & textures! Magnefiek the photo and te wonderful earth colors. Those colors in that landscape are amazing. A gorgeous view. The colors are spectacular. Compared with the houses down below, this is a huge mountain! ah, Sedona. Point your camera and you've caught a lovely vista. Un vrai paysage de Western ! This is wonderful, Steven. I love Sedona!! un paysage de toute beauté Steven. That is really a stunning sight and what a picturesque little town below it. And, just look at all of that history layered into the rock. BRAVO to you dear STEVEN and many congratulations. A fine capture of this huge Butte. It makes a great landscape. Incredible visual impact ! The nuances of colour and all that detail is just a treat to behold. Millions of years well demarcated in rock. The photo conveys an excellent idea of scale, between the hill and the houses in the valley. Ah, the layers of distant history. J'aime les différentes couches de couleurs. Beautiful capture of this iconic land mass! Lots of terrific hikes around there! Un paysage grandiose aux couleurs fantastiques! C'est splendide.